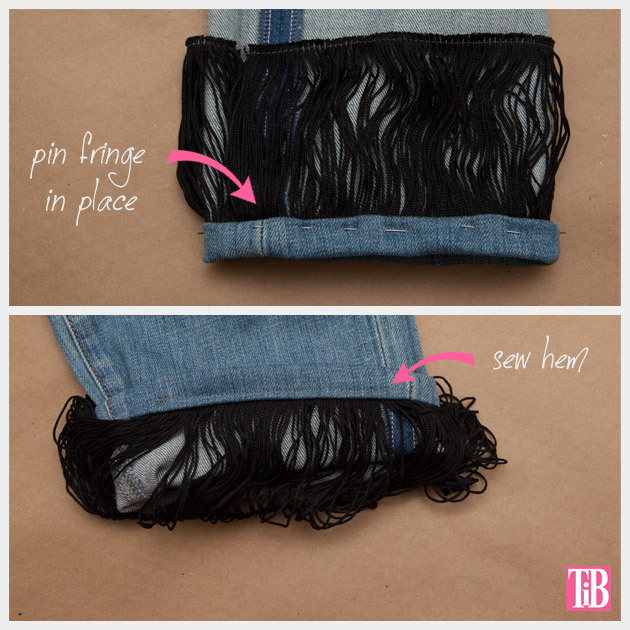 Turn those boring boyfriend jeans into a fabulous on trend Distressed Fringed Jeans DIY! 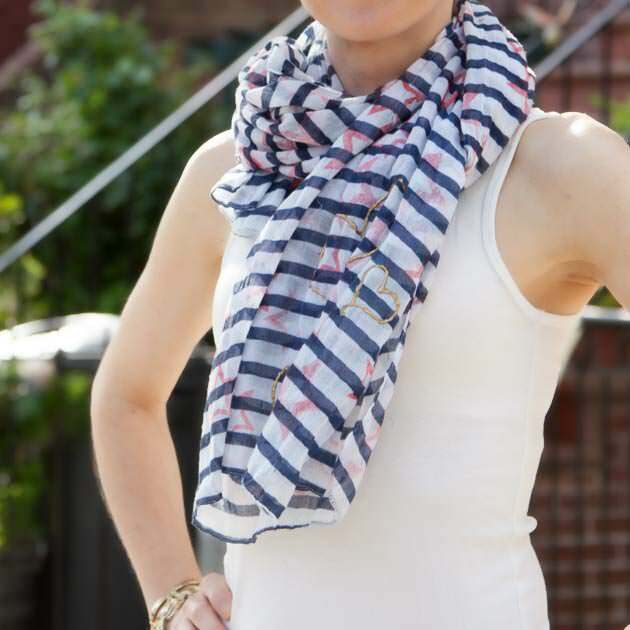 Be comfy and look good at the same time! You’ll want your jeans to be cropped. If yours aren’t already cropped follow steps 1 and the first part of 2 to crop and hem your jeans. Try on your jeans and fold up the bottom of your jeans and pin them about 2 inches above your ankle. Cut off the bottom of your jeans, leaving 1 inch extra to fold over. 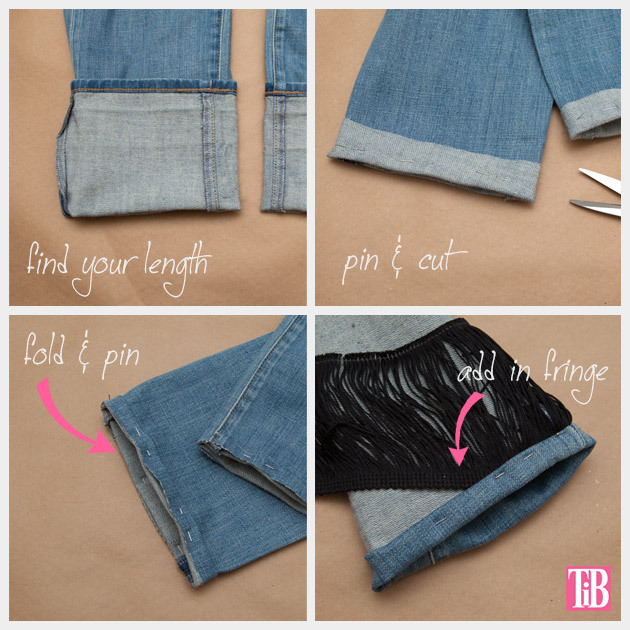 Fold the edges of your jeans over one half inch and pin. TIP: Don’t open the bottom edge of your fringe until after it’s sewn into your hem. 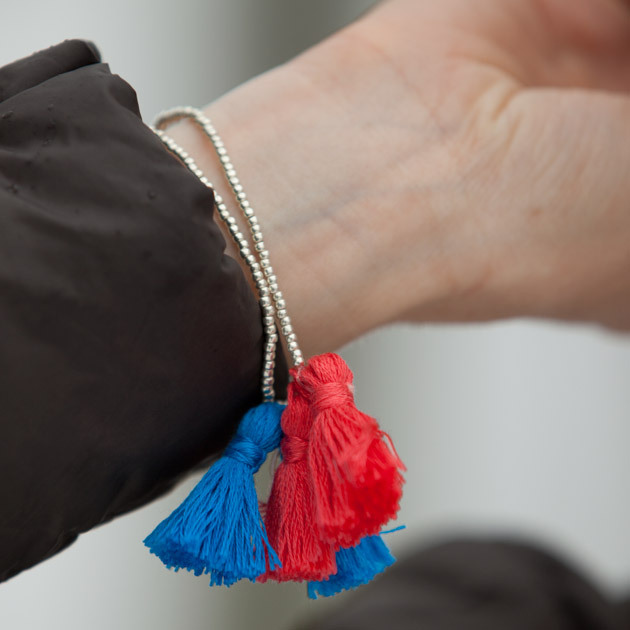 Keeping your fringe contained makes it much easier to work with. Fold your hem over one more time pinning the edge of your fringe into your hem. If your jeans are already cropped, you can open your hem and pin your fringe in or you can just pin your fringe just below the hem. Using your sewing machine, sew all around the bottom of your jeans where you pinned. 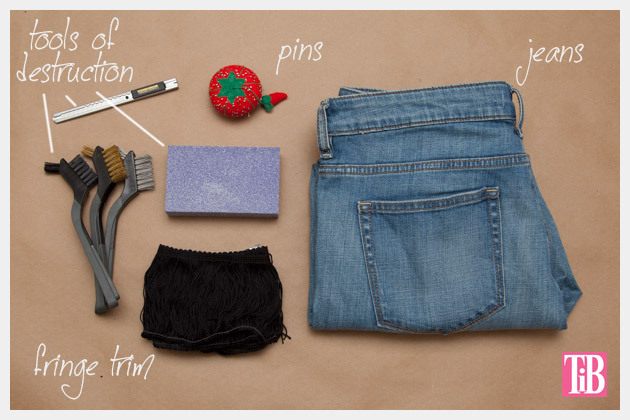 Place a piece of cardboard or heavy paper inside your jeans. 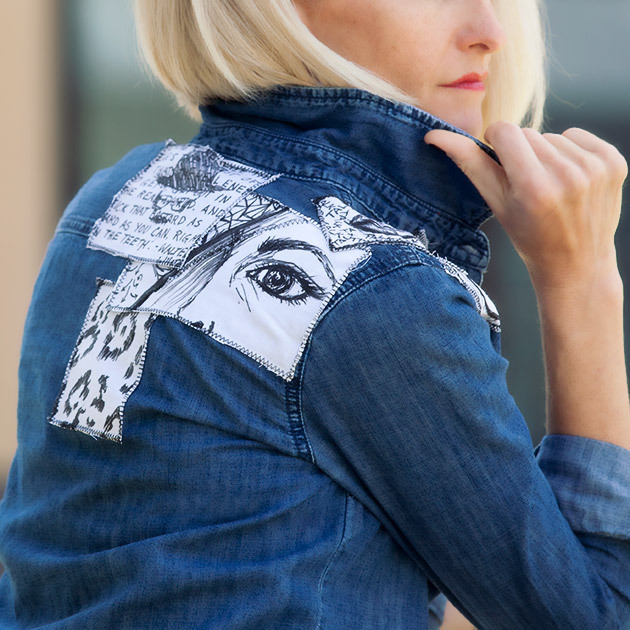 Starting with your art knife, cut horizontal lines on the front of your jeans. Just a couple. You can also skip this part and go straight to the sandpaper if you prefer. Using your coarse sandpaper rub in one direction across your jeans. If you rub back and forth you’ll break the white threads on your jeans and just end up with holes. Here’s where you’ll need you put some elbow grease into it. Press hard and you’ll start to see results right away. It’s a great upper body workout! 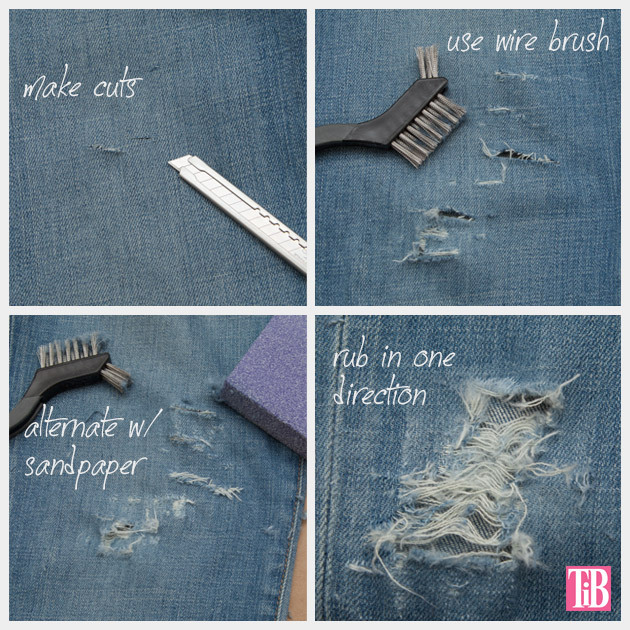 You can alternate using your sandpaper and your wire brush to distress your jeans. Use what works best for you. TIP: I recommend wearing a face mask, this process can kick up a lot of fibers from the jeans that will end up in your nose. Just trust me on this. 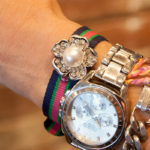 You can also rub the edges of your pockets and the hems on your cuffs to distress them a bit. 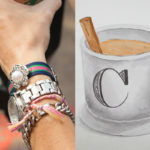 Jeans are a wardrobe staple and comfy jeans are a must have, but why not make them fashionable too! 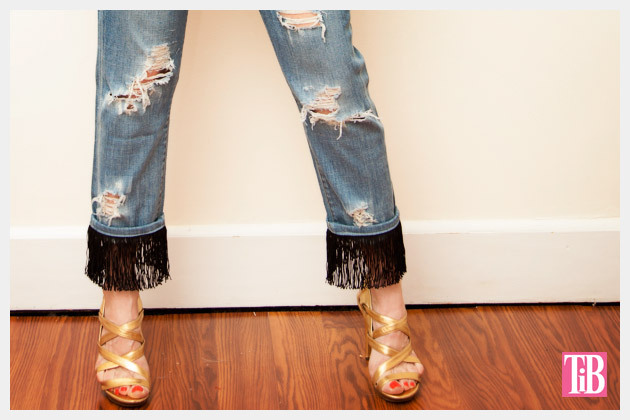 This DIY was inspired by the fringed jeans from Junya Watanabe, but at over $700 a pair I knew this was definitely a DIY. Feel free to add patches or more distress and truly make them your own! I didn’t add patches to mine since I already have this pair, but you could definitely have fun adding floral patches or whatever print you want. 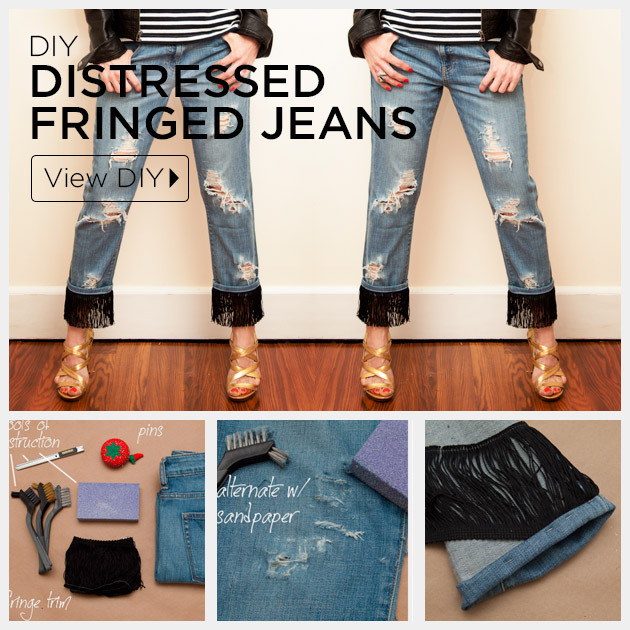 Leave me a comment and let me know how you embellished and distressed your jeans. I just made my interpretation of these and used black lace. They look great and I’ll wear them often. Thanks for the idea.